Insert rice farmer joke here. With its sedan, coupe, and hatchback variants, we knew the current Civic platform was versatile but we'd never guess it was this versatile. 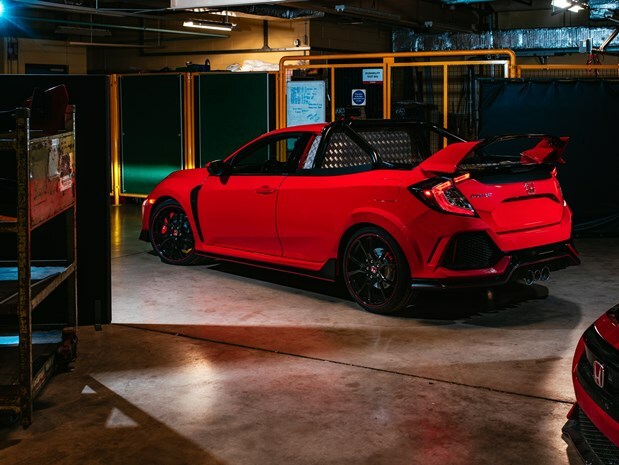 Shown off at the Society of Motor Manufacturers and Traders annual Test Day, Honda's U.K. arm has made a pickup truck out of its Civic Type R hot hatch. 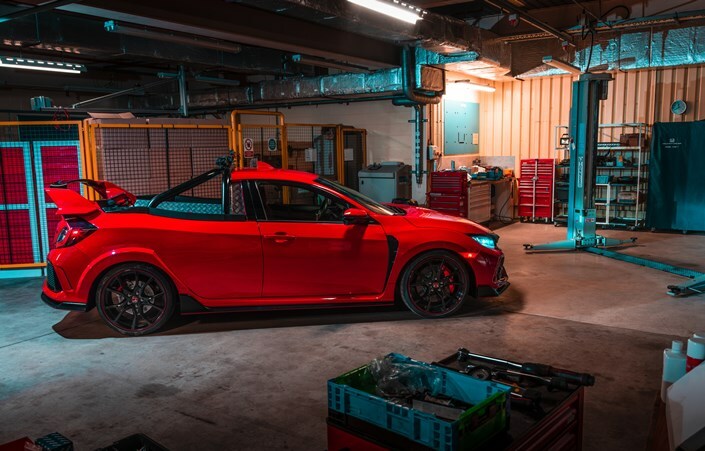 Internally known as "Project P"—presumably standing for "pickup" or "publicity"—the Type R-amino was built after hours by the special Synchro Motorsport projects team at the Swindon plant where all hatchback Civics are assembled. 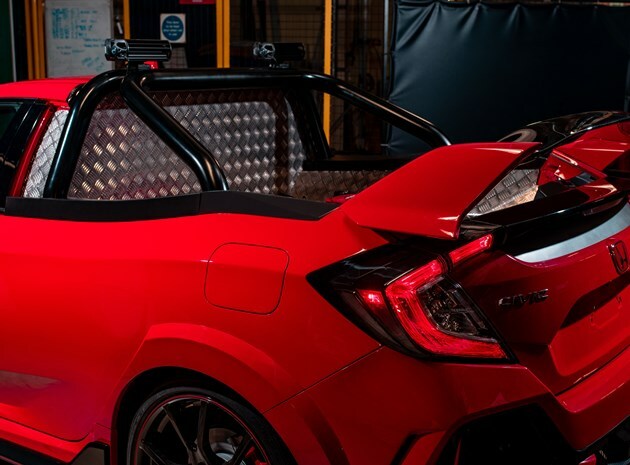 Everything aft of the car's B-pillars has been converted into a pickup bed but Type R-fanatics need not fret as the Sonic the Hedgehog rear wing stays, for better or worse, intact. 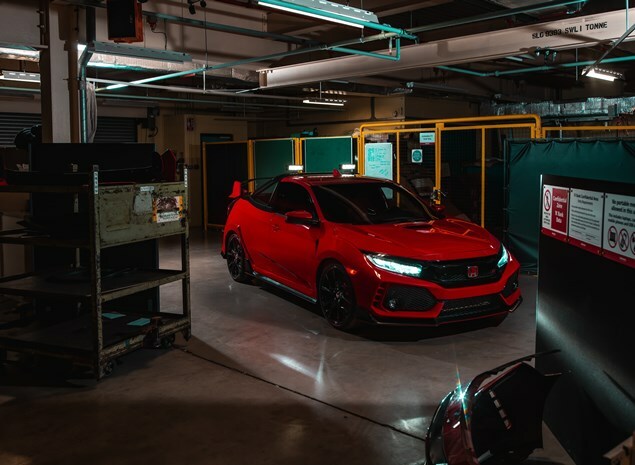 Honda says its hacked-up Civic will get from zero to 62 miles per hour in less than six seconds and hit a top speed of more than 165 miles per hour, making it one of the fastest pickup trucks on the street. Unfortunately and unsurprisingly, the company has no plans to actually put this thing into production. This being a one-off concept, it's unlikely you'll ever even see it let alone find yourself behind the wheel. If you really want to catch a glimpse of the Civic Type Ram, however, you might want to start hanging out at a certain German racetrack given the car's appetite for track records. 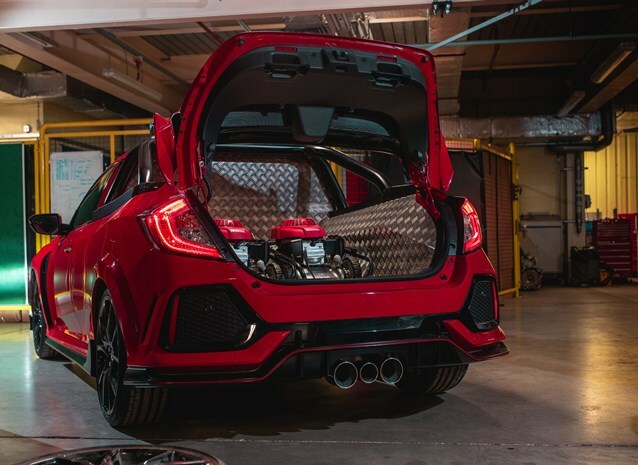 According to project lead Alyn James, "The passion that our engineers have for Honda is shown in our latest creation and we are even considering taking it to the Nürburgring to see if we can take the record for the fastest front-wheel-drive pickup truck." Considering the Type R already holds the 'Ring record for fastest front-wheel-drive car without a pickup bed, cinching the front-drive truck record as well should be a walk in the park for the Project P.